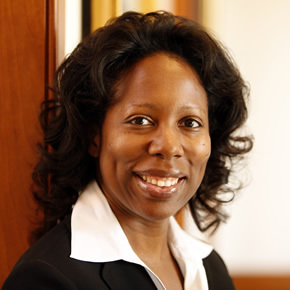 Margo A. Bagley is Asa Griggs Candler Professor of Law at Emory University School of Law. 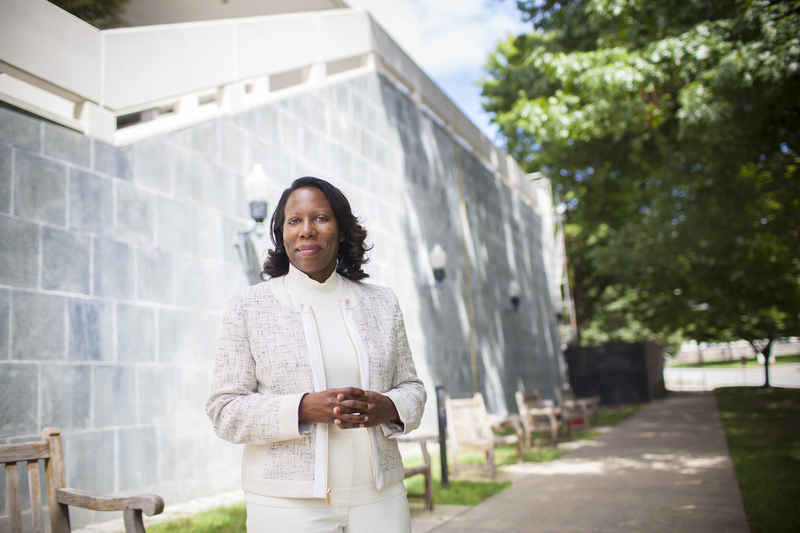 She rejoined the Emory faculty in 2016 after a decade at the University of Virginia, School of Law, where she was most recently the Hardy Cross Dillard Professor of Law. Bagley received her JD in 1996 from Emory, where she was a Robert W. Woodruff Fellow, an editor of the Emory Law Journal, and elected to Order of the Coif. She is a member of the Georgia bar and is licensed to practice before the US Patent and Trademark Office. Bagley worked as an associate with Smith, Gambrell & Russell, LLP and Finnegan, Henderson, Farabow, Garrett & Dunner, LLP before becoming an assistant professor of law at Emory University in 1999 and associate professor in 2002. She was a visiting professor of law at Washington & Lee University School of Law in fall 2001 and at the University of Virginia School of Law in fall 2005, after which she joined the University of Virginia faculty in 2006. She is a faculty lecturer with the Munich Intellectual Property Law Center at the Max Planck Institute in Germany, and also has taught International Patent Law and related courses in China, Cuba, Israel, and Singapore. Bagley served on the National Academy of Sciences Committee on University Management of Intellectual Property: Lessons from a Generation of Experience, Research, and Dialogue. She is also an expert technical advisor to the Government of Mozambique in several World Intellectual Property Organization (WIPO) matters and is the Lead Facilitator and Friend of the Chair in the WIPO Intergovernmental Committee on Intellectual Property, Genetic Resources, Traditional Knowledge, and Folklore. Bagley has served as a consultant to the UN Food and Agriculture Organization Secretariat for the International Treaty on Plant Genetic Resources for Food and Agriculture, and as a US Department of Commerce CLDP advisor. In addition, she is a member of the Convention on Biological Diversity’s (CBD) Ad Hoc Technical Expert Group on Digital Sequence Information on Genetic Resources for the CBD and Nagoya Protocol. Her scholarship focuses on comparative issues relating to patents and biotechnology, pharmaceuticals and access to medicines, and technology transfer. Bagley has published numerous articles and book chapters, as well as two books with co-authors: Bagley, Okediji and Erstling, International Patent Law & Policy (West Publishing 2013) and Patent Law in Global Perspective (Okediji and Bagley eds., Oxford University Press 2014). She also recently authored a report on Digital DNA: Synthetic Biology, Intellectual Property Treaties, and the Nagoya Protocol, commissioned by the Woodrow Wilson International Center for Scholars. A chemical engineer with a BS ChE degree from the University of Wisconsin-Madison, Bagley worked in industry (with the Procter & Gamble Company and the Coca Cola Company) for several years before attending law school, and is a co-inventor on a patent for reduced fat peanut butter. Her courses include US and International & Comparative Patent Law, Trademark Law, and Intellectual Property. Ruth L. Okediji & Margo A. Bagley (eds. ), Patent Law in Global Perspective, (Oxford University Press 2014). Margo A. Bagley, Ruth L. Okediji & Jay A. Erstling, International Patent Law and Policy (West Publishing 2013). Towering Wave or Tempest in a Teapot? Synthetic Biology, Access & Benefit Sharing, and Economic Development, in Susy Frankel and Daniel Gervais eds. Intellectual Property on the Internet and the Connection with Human and Economic Development (Victoria University Press 2017). The De-Materialization of Genetic Resources: Synthetic Biology, Intellectual Property, and the ABS Bypass, in Routledge Handbook of Biodiversity and the Law, (Charles McManis and Burton Ong Eds., 2017). Of Disclosure “Straws” and Patent System “Camels”: Patents, Innovation, and the Disclosure of Origin Requirement, in Daniel Robinson, Ahmed Abdel-Latif, Pedro Roffe eds. Protecting Traditional Knowledge: The WIPO Intergovernmental Committee on Intellectual Property and Genetic Resources, Traditional Knowledge and Folklore (Routledge Press 2017). “Grant Me Justice Against My Adversary”: What Parables Can Teach Us About Organic Seed Growers & Trade Assoc. v. Monsanto, in Irene Calboli and Srividyha Ragavan eds. Diversity in Intellectual Property: Identities, Interests, and Intersections (Cambridge University Press 2015). Patent Barbarians at the Gate: The Who, What, When, Where, Why & How of U.S. Patent Subject Matter Eligibility Challenges, in Patent Law in Global Perspective, (Oxford University Press 2014). Pharmaceutical Data Exclusivity Protection, in Josef Drexl and Nari Lee eds. 'Pharmaceutical Innovation, Competition and Patent Law: a Trilateral Perspective,' (Edward Elgar Publishing 2013). Patents and Technology Commercialization: Issues and Opportunities, in vol. 18, Advances in the Study of Entrepreneurship, Innovation and Economic Growth (Gary Libecap, ed., Elsevier Science and Technology Books 2007). A Global Controversy: Biotechnology Patents and Morality, in Intellectual Property and Information Wealth (Peter Yu, ed., Praeger 2007). The New Invention Creation Boundary in Patent Law, 51 William & Mary L. Rev. 577 (2009). Academic Discourse and Proprietary Rights: Putting Patents in Their Proper Place, 47 B.C.L. Rev. 217 (2006). Stem Cells, Cloning and Patents: What’s Morality Got to Do With It? 39 New Eng. L. Rev. 501 (2005) (Symposium issue). Patent First, Ask Questions Later: Morality and Biotechnology in Patent Law, 45 William & Mary L. Rev. 469 (2003). Legal Movements in IP: TRIPS, Bilateral Agreements, and Access to Essential Medicines, 17 Emory Int’l L. Rev. 781 (2003) (Symposium Issue). Still Patently Unconstitutional: A Reply to Professor Nard, 88 Minn. L. Rev. 239 (2003). Patently Unconstitutional: Geographical Limitations on Prior Art in a Small World, 87 Minn. L. Rev. 679 (2003). Internet Business Model Patents: Obvious by Analogy, 7 Michigan Telecomm. & Tech. L. Rev. 253 (2001) (Symposium issue). Comment, Using Section 337 of the Tariff Act of 1930 to Block Materially Different Gray Market Goods in the Common Control Context: Are Reports of Its Death Greatly Exaggerated? 44 Emory L.J. 1541 (1995). Margo A. Bagley, Illegal Designs? The Draft Design Law Treaty and Disclosure of Origin Requirements (Policy Paper, Centre for International Governance Innovation, Paper No. 155, December 2017). Eric W. Welch, Margo A. Bagley, Todd Kuiken, Selim Louafi, Potential Implications of New Synthetic Biology and Genomic Research Trajectories on the International Treaty for Plant Genetic Resources for Food and Agriculture (ITPGRFA or ‘Treaty’) (for the Secretariat of the UN FAO ITPGRFA). Margo A. Bagley (for the High-Level Panel Secretariat at UNDP in collaboration with UNAIDS), Background Paper: A Primer on Features of the Intellectual Property System of Relevance to Issues of Access to Medicines (2016) (UN Secretary General’s High Level Panel on Access to Medicines). Margo A. Bagley, Digital DNA: Synthetic Biology, Intellectual Property Treaties, and the Nagoya Protocol (2015) (Woodrow Wilson International Center for Scholars). Margo A. Bagley & Arti K. Rai, The Nagoya Protocol and Synthetic Biology: A Look at the Potential Impacts (2013) (Woodrow Wilson International Center for Scholars). “On Being Human,” Review of Fire in the Blood, Directed by Dylan Mohan Gray, Journal of Intellectual Property Law & Practice (2016). “On Shaky Ground?” Review of Rajshree Chandra, Knowledge as Property: Issues in the Moral Grounding of Intellectual Property Rights, Journal of Intellectual Property Law & Practice (2013). Review of The Global Governance of Knowledge: Patent Offices and Their Clients, by Peter Drahos, 2 IP Law Book Review 15 (2011).